The last family adventure day of the season has arrived. If you have been yet now is the time to go since there won't be another one until 2016! 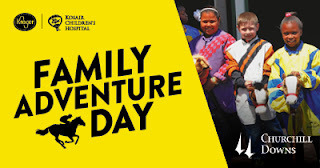 If you haven't heard of Family Adventure Day, let me enlighten you! 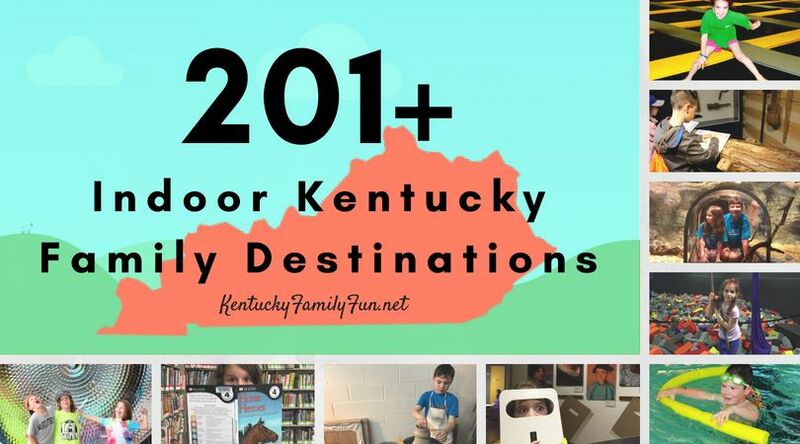 It is a totally family friendly event that takes place at Churchill Downs right here in Louisville, Ky. It is scheduled to take place on November 8th at 11:30am. Kroger is the title sponsor for this event which is awesome because this allows for a portion of the proceeds to go to Kosiar Children's Hospital. Win-Win, right? You can expect all sorts of family fun like pony rides, bounce houses, petting zoos, face painting and crafts just to name a few things that you and your family can get into! There is also a family friendly race viewing area and even a chance for your kiddos to call 'riders up' prior to a start of a race. How cool is that?! Tickets start at $8 and can go up to $37 for indoor dining tickets. I think it is a really cool thing to be able to experience the history and fun of Churchill Downs as a family. Who knows you might even win a little something while you are there too!